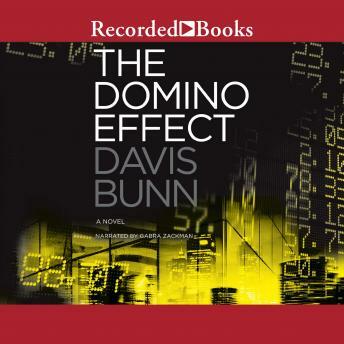 A financial thriller that will keep listeners on the edge of their seats Esther Harding, a leading risk analyst at one of the country's largest banking institutions, is becoming more and more convinced that she has uncovered a ticking bomb with the potential to overshadow 2008's market crash. And as her own employer pursues "investment" strategies with ever-increasing levels of risk, she becomes convinced she must do something. Yet what can one person really do? The markets are edging closer to a tipping point--like the teetering first domino in a standing row that circles the globe. And when Esther does sound the alarm, she wonders if anyone will take her seriously. But as public support grows for her ideas, so does the desperation of those whose conspiracy of greed she seeks to expose. With global markets on the brink, and her own life in danger, Esther is locked in a race with the clock to avert a worldwide financial meltdown. This fast-paced suspense novel will make you wonder where the fiction ends and reality begins. . . .